The Lakai crew spent a weekend in San Francisco trying out the new Lakai Cambridge, inspired by Jovantae Turner. Check the full video for some ripping from Carroll, Vincent, Stevie, and the rest of the Lakai crew. 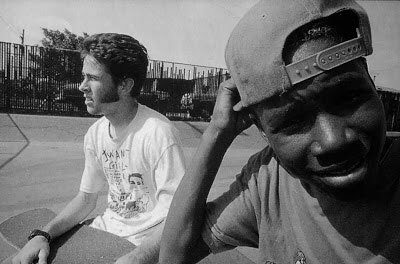 To celebrate the reissue of Jovante Turner’s “Tae Turner” Deck from Girl Skateboards, we had our friend @MemoryScreen put together the best of Tae’s Tre’s. The “Tae Turner” Collection is now available at your local skateshop and in the Crailstore. Can you Tre like Tae? Read below and enter to win the entire Tae Turner Collection. Known to be a critic, Jovontae will be judging this contest himself. Style doesn’t just matter to him, it’s everything. 2. Post a video of you 360 flipping. Only new posts will be considered. Contest runs from November 16th to the 29th. Three winners announced November 30th, and contacted via DM. Good luck! Tae Tae gives The Chrome Ball Incident a little postscript love.